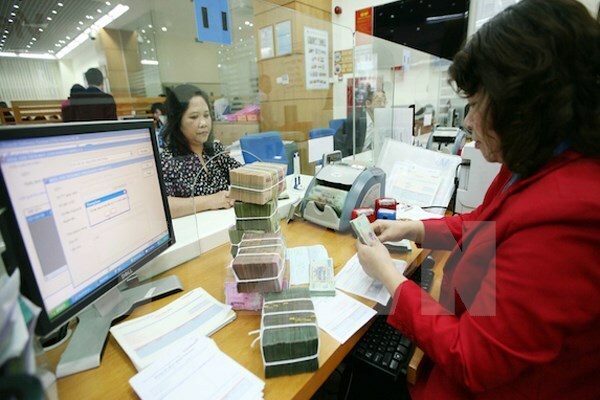 Hanoi (VNA) – The Hanoi Stock Exchange (HNX) organised 14 auctions of Government bonds in July, raising 15.17 trillion VND (667.48 million USD) which fell by 32 percent from the previous month. While five-year bonds were sold with annual interest rates of between 4.48 and 4.9 percent, annual interest rates for seven-, 10- and 15-year bonds are 4.95-5.19 percent, 5.38 percent and 5.75-6.25 percent, respectively. The sold 20- and 30-year bonds bear the respective interest rates of 5.82-6.55 percent and 6.22-6.65 percent per annum. The interest rates dropped sharply compared to those in June, down 0.42 percent for five-year bonds, 0.25 percent for seven-year bonds, 0.27 percent for 10-year bonds, 0.55 percent for 15-year bonds, 0.85 percent for 20-year bonds, and 0.88 percent for 30-year bonds. On the secondary market, more than 1.02 billion G-bonds worth some 110 trillion VND (4.84 billion USD) were sold via outright transactions in July, down 1.3 percent in value from June.